With El Clasico on the horizon, Ernesto Valverde will be keen for his Barça side to head to the Santiago Bernabéu six points ahead of the chasing pack, but in order for them to do so, they’ll need to overcome a Depor side that have battled gamely in the recent past at the Camp Nou. Cristóbal Parralo’s team have only won twice away from the Estadio Riazor in 2017/18, and both victories came at La Liga’s bottom club, Las Palmas, in the League and Cup. Gerard Deulofeu joins Samuel Umtiti and Ousmane Dembélé on the sidelines, whilst Ernesto Valverde has left out Arda Turan for the visit of the Galician’s. The complete list of players to play Dépor therefore is: Ter Stegen, Semedo, Piqué, Rakitic, Sergio, Denis, A.Iniesta, Suárez, Messi, Cillessen, Mascherano, Paulinho, Paco Alcácer, Jordi Alba, Digne, Sergi Roberto, André Gomes, Aleix Vidal, Vermaelen. Depor are missing 12 players and only Luisinho and Bruno Gama have a realistic chance of making the Matchday squad. Valverde spoke to the media ahead of the match against Deportivo. On the opposition he said: "They were up and down at the start. It looks to me as if Deportivo is playing well at the moment. They have changed their system a little to suit their players." On whether thoughts might turn to the upcoming El Clásico, Valverde stated: "Our objective is to win tomorrow. We are not thinking about the Clásico as tomorrow is an important game against tough opposition in Dépor. Our plan is to get the three points and we know it will be hard but we go into the game in an optimistic mood." Parralo: "Defensively, this Barça side are a lot better than last season. They are much more organised in defence. They depend on a great player like Messi and Suárez goals. They are players who make the whole team work well." Barça still remain unbeaten in this campaign, with Ernesto Valverde’s record as coach currently standing at 19 wins and three draws from the 22 games in La Liga and the Champions League. They are also the highest scorers in the Spanish top flight, and have the joint best defence. By contrast, Depor have managed only four league wins all season with just one of those coming since the end of October. Twenty-seven goals conceded is the third worst in the division. Though they’ve drawn three out of the last five at the Camp Nou and won the most recent fixture between the teams, Depor have a woeful record against Barça. 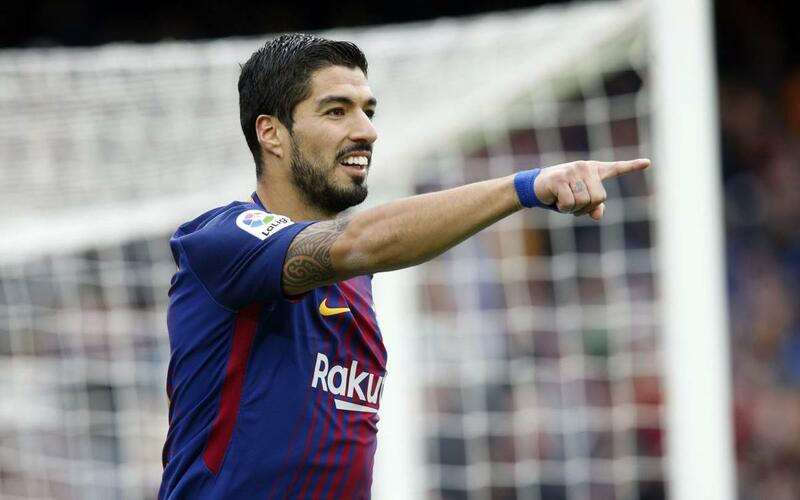 Not since 2003 have the visitors taken all three points from their away fixture and, since then, the blaugrana have won eight and drawn three at home. Barça are the only team in the league to have scored more than 200 goals against Depor (207).